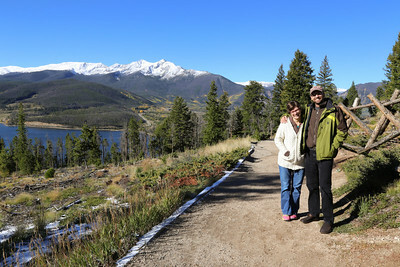 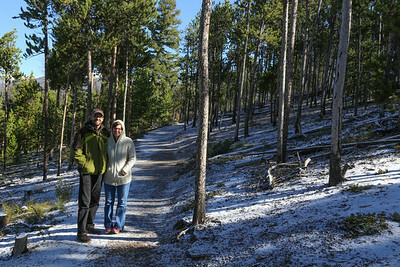 My friends Joe and Liz recently moved to Denver, and my visit was perfectly timed to see the fall colors. 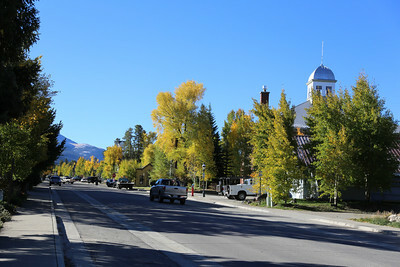 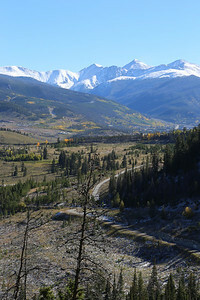 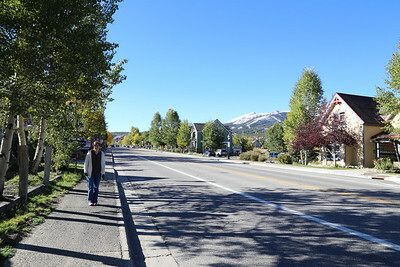 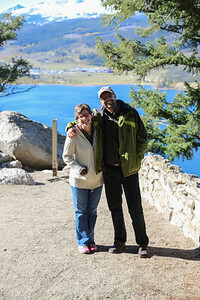 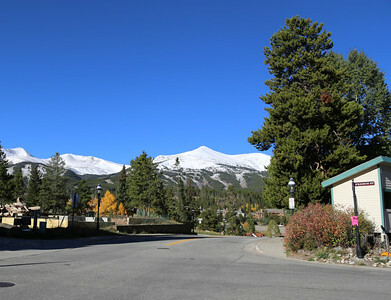 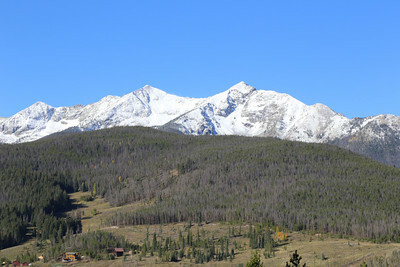 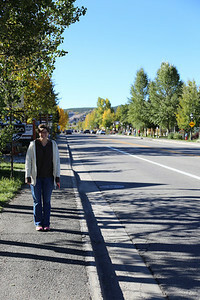 We drove out to Breckenridge in a snowstorm, but had spectacular weather for the drive back over Loveland Pass and Guanella Pass, with a brief stop in the historic mining town of Georgetown. 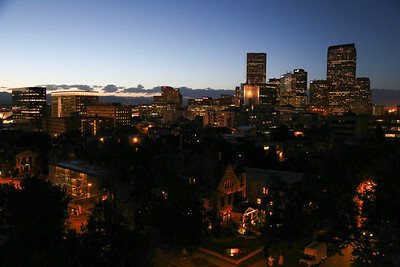 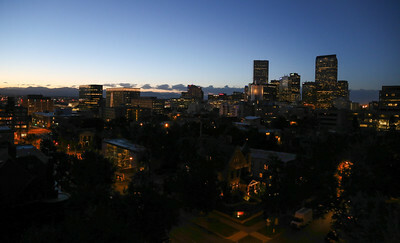 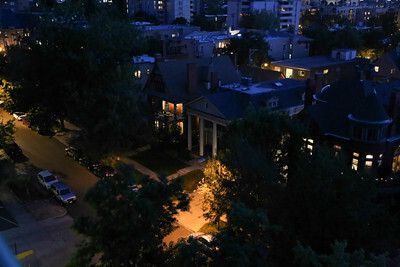 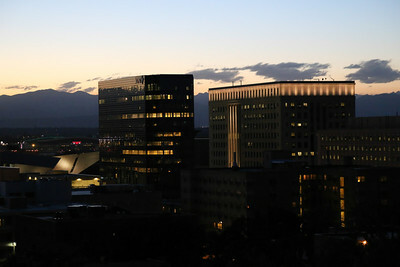 Sunset from Joe and Liz's ninth floor apartment balcony,overlooking downtown Denver, on my first night there visiting. 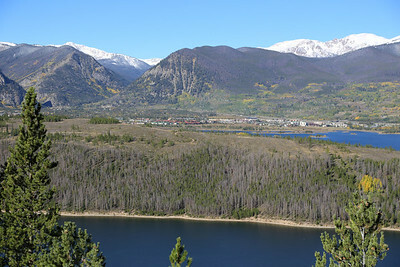 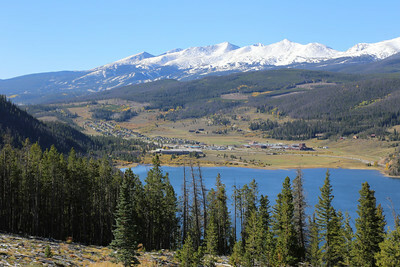 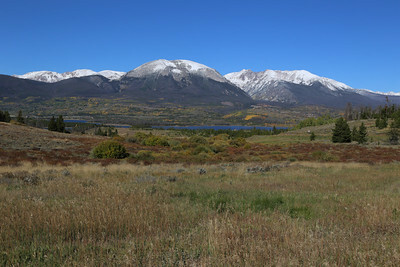 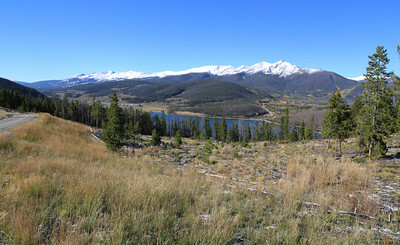 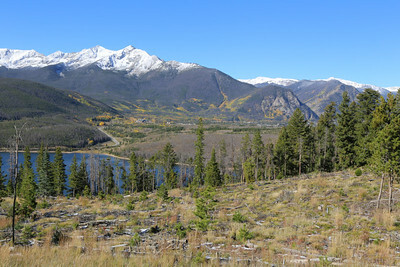 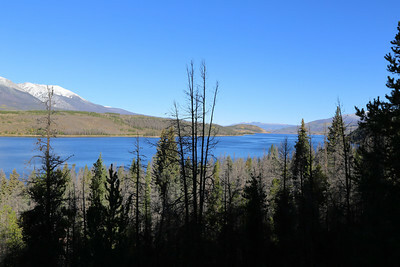 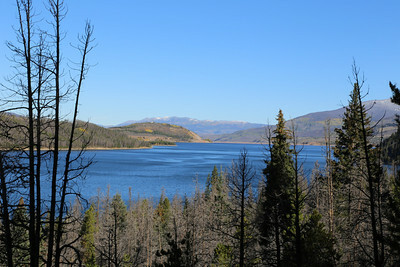 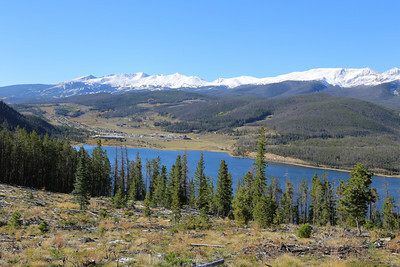 Dillon Reservoir, from Swan Mountain Rd.